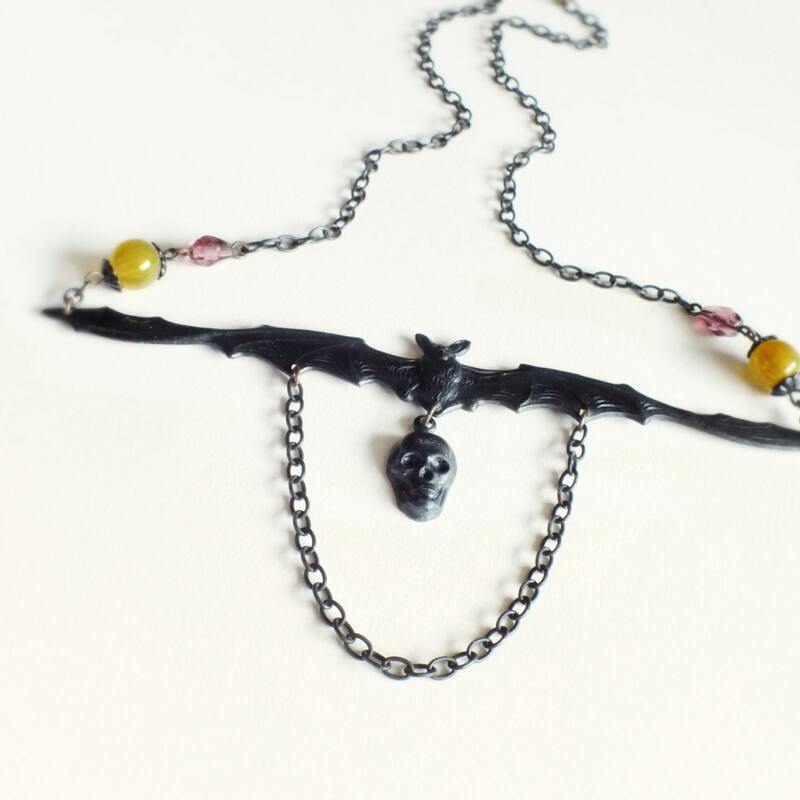 Victorian Goth handmade black bat skull necklace with oxidized brass charms. High quality US made brass charms and chain. 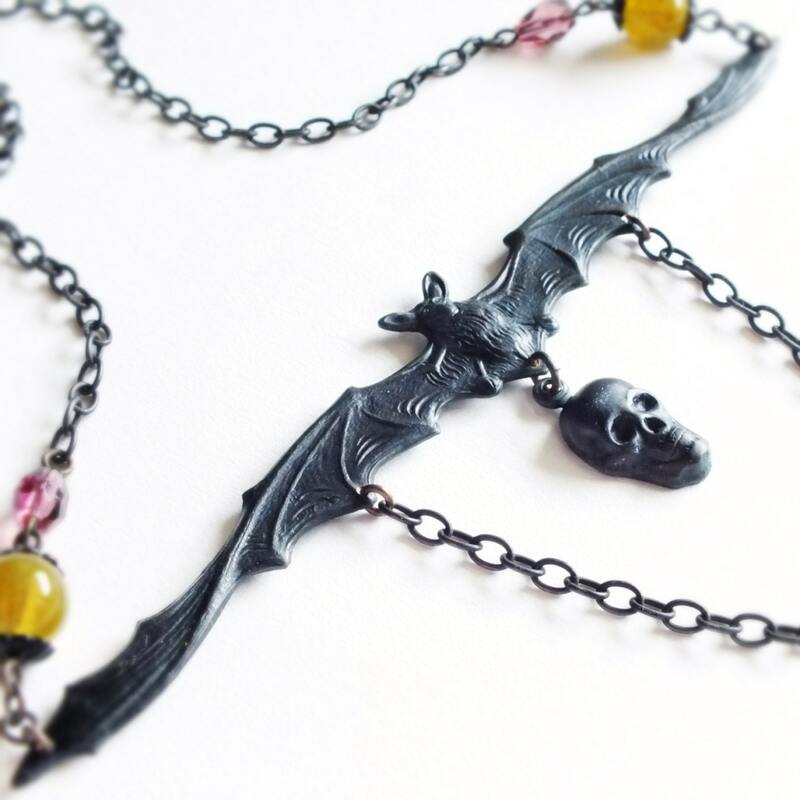 Necklace is just under 19 1/2 inches - 49.5 cm long. 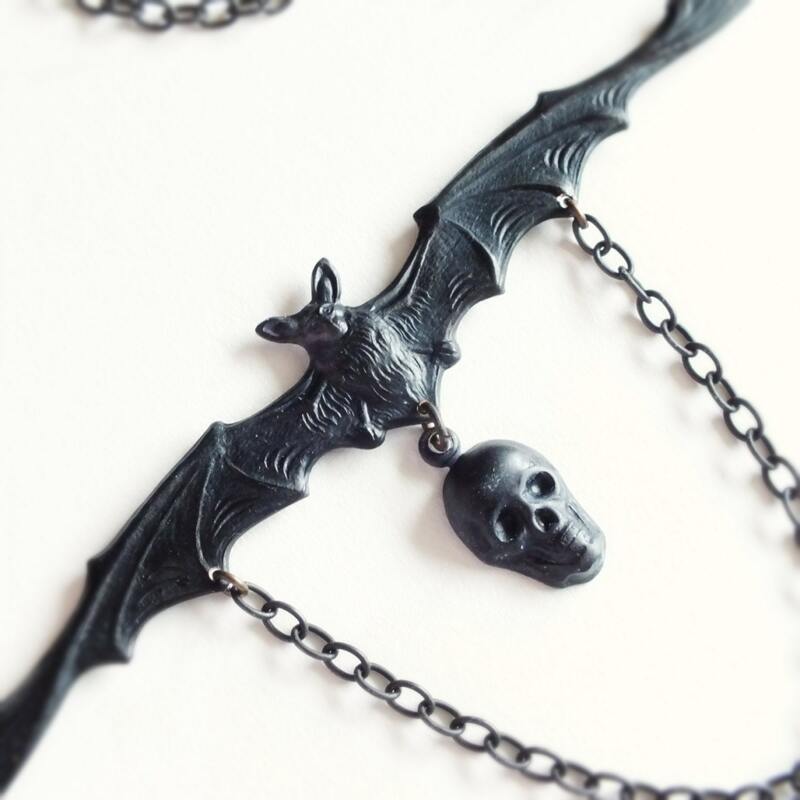 Pendant is 12 cm - 4 3/4 inches across. 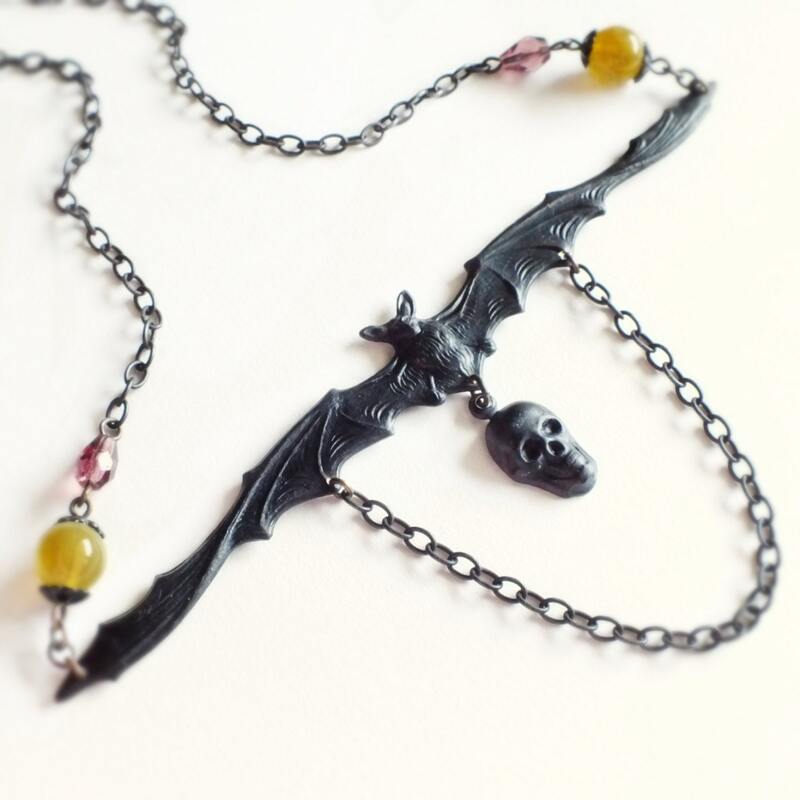 Made with an extra wide brass flying bat pendant I oxidized to a smoky black patina adorned with a loop of chain and matching skull charm. 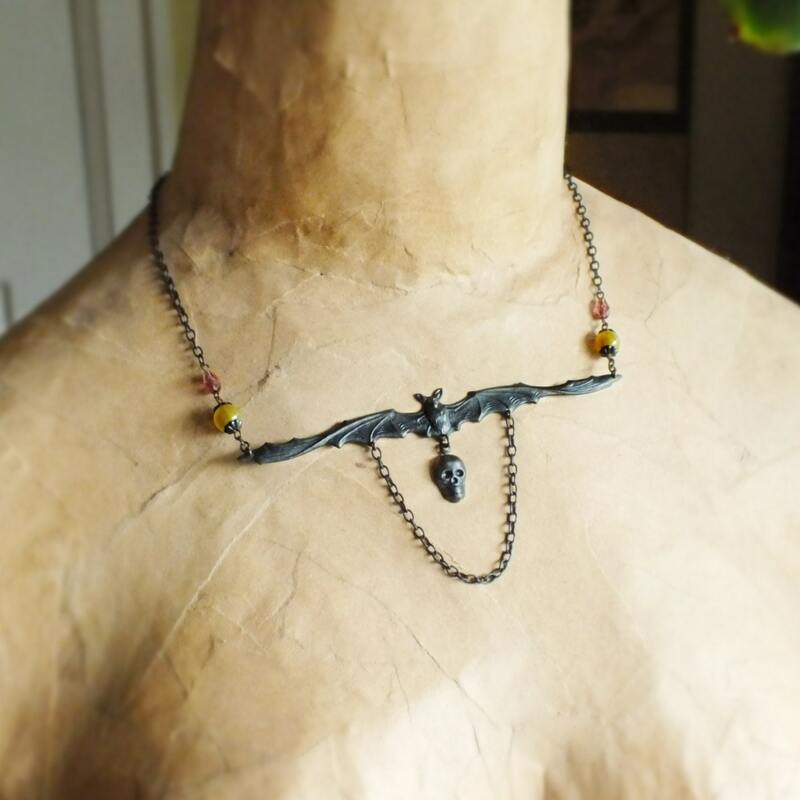 The chain features vintage glass beads in amethyst and olive.